"The Lego Movie" was one of my favorite movies of 2014. It should have won the Oscar for Best Animated Feature that year, its snub in the category only explainable by a sort of unofficial disqualification due to its live-action climax. The finale was the icing on an already-delicious cake, a touching sequence where we learned that the mostly-silly computer-animated adventure that had preceded it was actually a mask for a strained father/son relationship. The father (Will Ferrell) realized that by spending all his free time building elaborate Lego sculptures alone, he was cutting his family out of his life. He decided to allow his son to play with his vast collection of Legos, as well as his daughter with her Duplo blocks. The son wasn't 100% okay with this, as the Duplos were sure to interfere with his Lego adventures. Five years later, the Duplos have indeed taken their toll on the animated Lego landscape. Gone is the happy, bustling city of Bricksburg, replaced with a post-apocalyptic desert. Most of the residents spend their days brooding, but heroic construction worker Emmet (Chris Pratt) is as optimistic as ever. His hardened girlfriend Lucy (Elizabeth Banks) warns him that if he doesn't adapt to the changing world, he could fall victim to a Duplo invasion, or worse, bring about the dreaded Our-Mom-Ageddon. 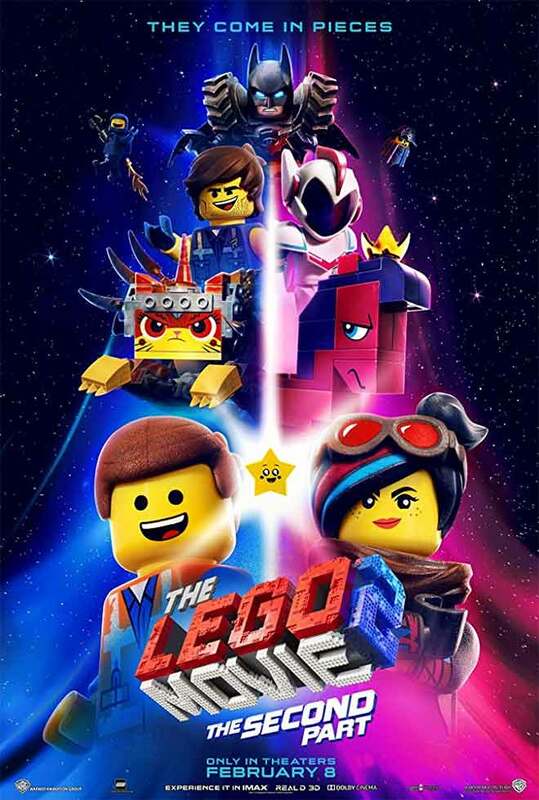 Emmet's insistence on positivity and goodness leads to Lucy getting captured, along with Unikitty (Allison Brie), Metalbeard (Nick Offerman), Spaceman Benny (Charlie Day), and Batman (Will Arnett), back from his standalone adventure. Their captor is General Mayhem (Stephanie Beatriz) who works for Queen Watevra Wa-Nabi (Tiffany Haddish), the shapeshifting leader of the Systar System. Wa-Nabi had the group kidnapped so she could marry Batman and peacefully unite the two worlds. But Lucy isn't convinced that she's on the up-and-up, even after the Queen tries to reassure her with a song about how totally not evil she is. Emmet, meanwhile, goes on a mission to save the group, getting some help from the rugged Rex Dangervest (also Pratt), a time-travelling outer-space explorer desperately in need of companionship after several years trapped underneath a clothes dryer and more time spent with only a crew of "Jurassic World" raptors to keep him company. The good news is that the movie is pretty much as funny and heart-touching as ever, its crispness and wit retained from the first movie. It still amazes me that a movie with such block-y animation can have such impeccable comedic timing, though I could have done without the gags where the characters mispronounce words that they don't understand ("Sis-tarr" and "Wash-arr" don't exactly bring level of charm as the Kragle from the first movie). Beatriz and Haddish are excellent additions to the cast, especially Haddish with her movie-stealing musical number. There are some sad parts, but they're appropriately sad, and they make it feel earned when the characters won't settle for an unhappy ending like a certain recent installment of the biggest franchise in the world. 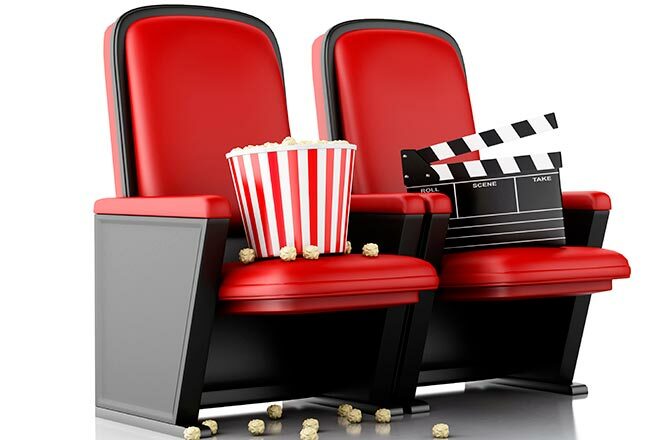 But there is an unavoidable downside to "The Lego Movie 2," and it's that we know there's a twist coming in the form of the animated action being symbolic of a conflict in the "real" world. The live-action sequence, involving the human siblings and their mother (Maya Rudolph) is handled well, but the fact that we're expecting it puts a damper on the rest of the movie, like seeing a magic trick again after it's been explained. The film is still awesome on every level except that one, even to the point where I'd say that it's the best film of 2019 so far (not that there's much competition), but there is noticeably less magic and mystery this time around. "The Lego Movie 2: The Second Part" is rated PG for some rude humor. Its running time is 106 minutes.